1.250" x 60" x 96" Uncoated Level 1 Bullet Resistant Acrylic Sheet | U.S. 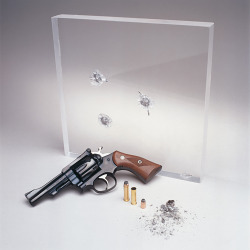 Plastic Corp.
PolyOne's Polycast™ bullet resistant sheets are UL designated, abrasion resistant, lighter than glass, crystal clear and design-flexible to fit a range of ballistic protection applications. This sheet meets the test requirements of Building Code class CC2. ANS, Z97.1-Safety Glazing Material. With greater than 90% light transmission, it is offered with or without Polycast SAR™ (Super Abrasion Resistant) coating.